Now what is this strange juxtaposition of bread and religion all about? 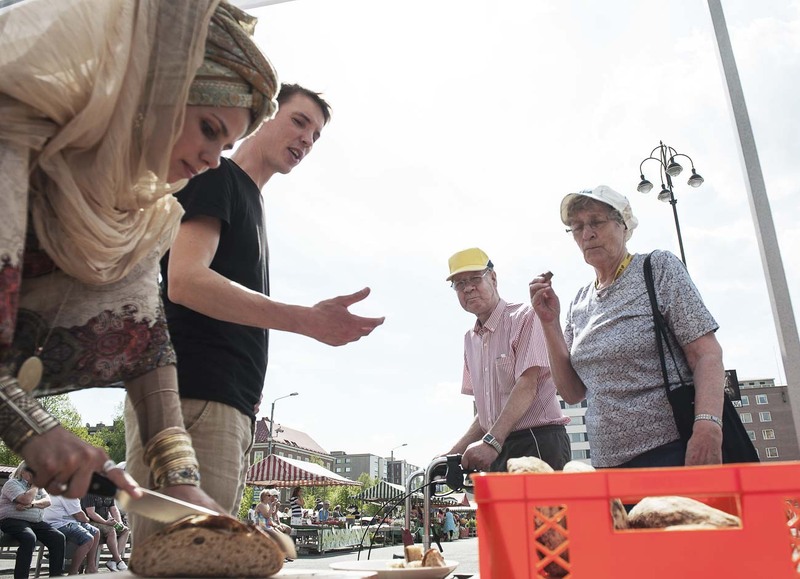 Is it just another casual encounter of cultures, so familiar in the globalized world of today? Does the act of baking such bread place our beloved local traditions under a threat of dissolving into something alien? In what stage of the baking process does belief develop? 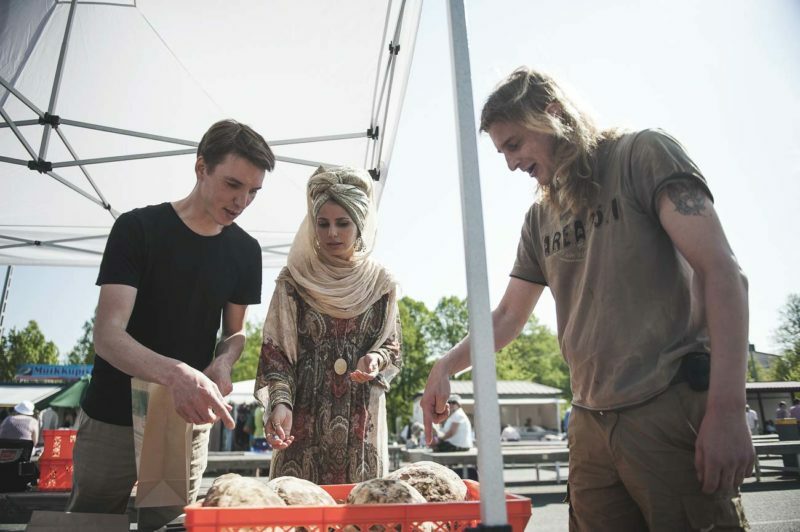 Does it affect the taste, crust, crumb and other qualities of bread? 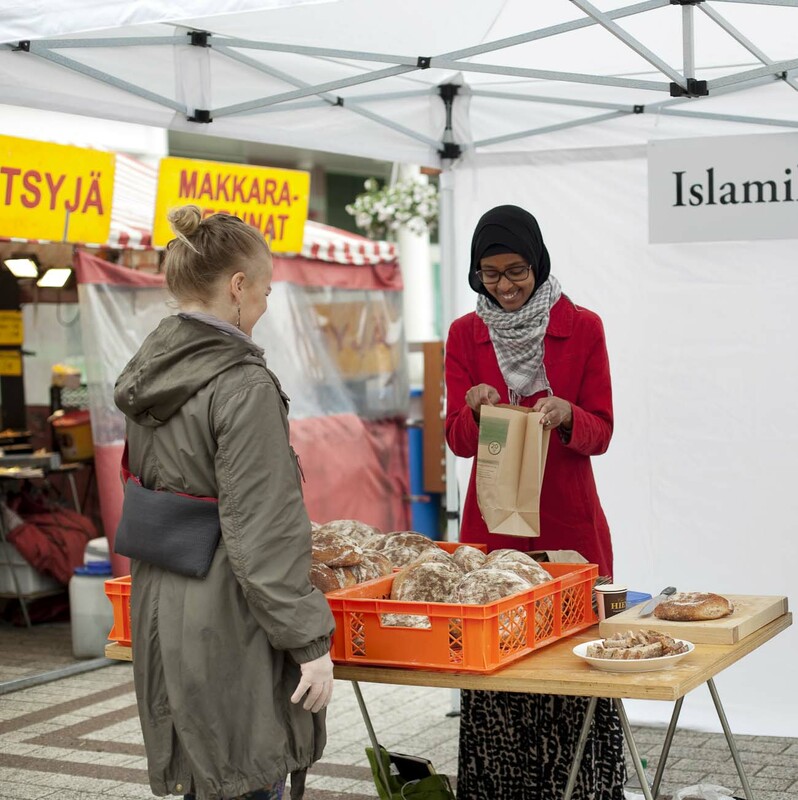 How can one, after all, distinguish between Christian, Islamic and atheist bread for example? There is no such thing as “Finnish traditional Islamic bread” so I decided to make some. I baked a special kind of Finnish bread called “rievä”, according to an ancient recipe. Then I just simply gave the bread a conviction. 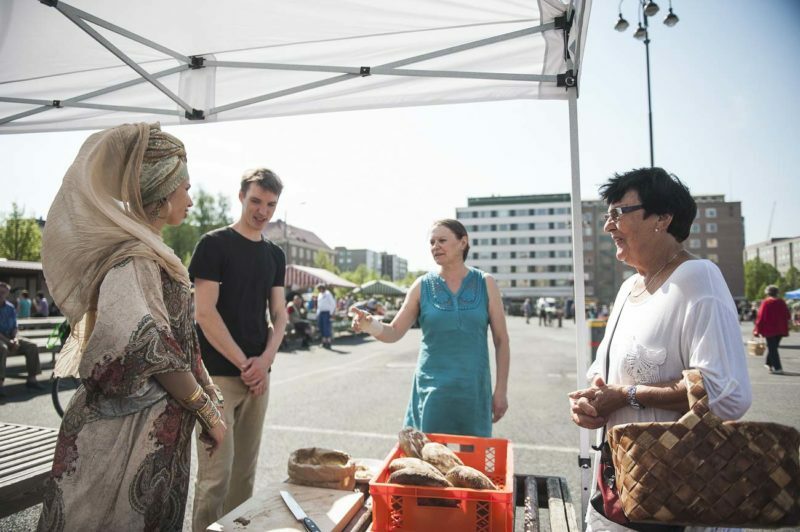 I took the bread to market places in different Finnish towns and sold it among stalls offering the ordinary daily produce. 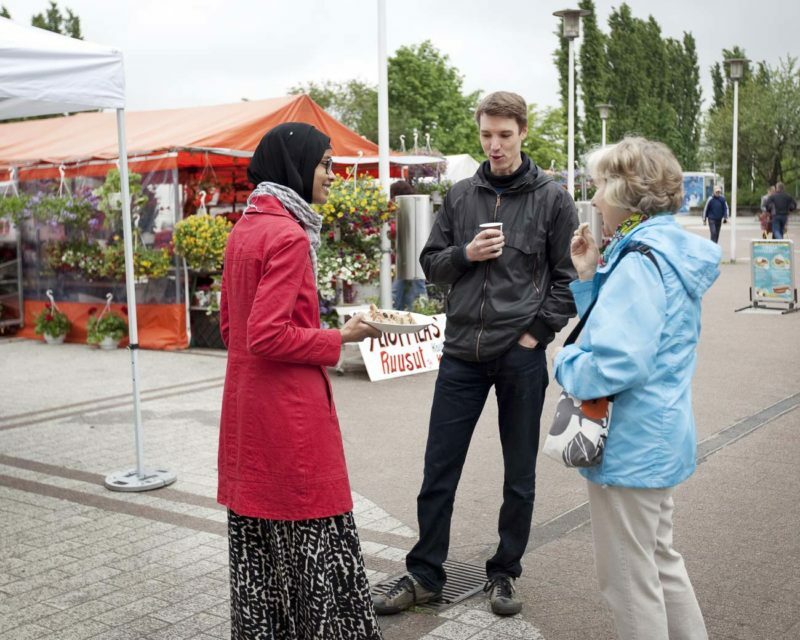 I was accompanied by a real Muslim ready to offer first-hand information about Islam to anyone interested. 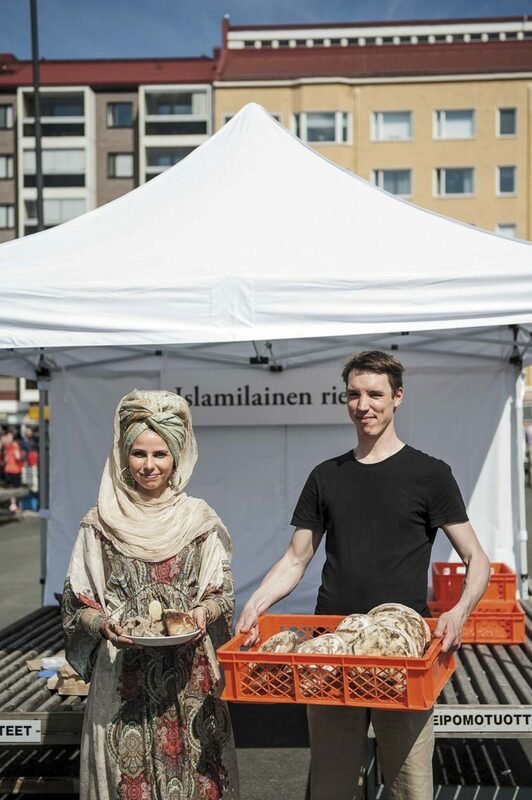 Tastings were served generously, so customers could judge if and how Islam had transformed this traditional delicacy. There were many lively and charged discussions about traditions and alien influences. 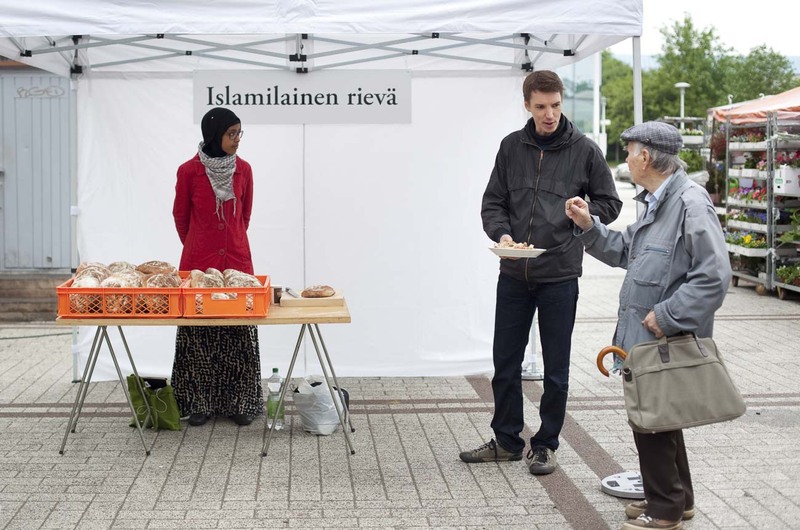 One common observation was that there is great difficulty in accepting the fact that something could be truly Finnish and Islamic at the same time. 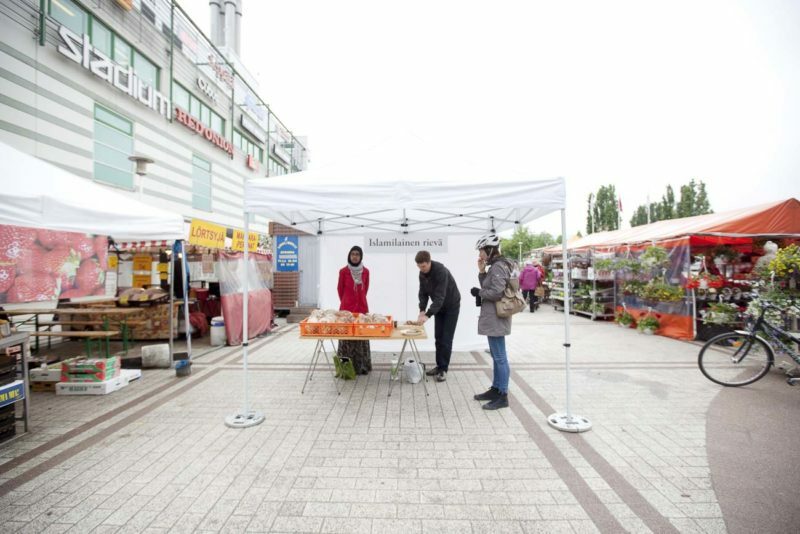 The work was part of the Mänttä art festival. 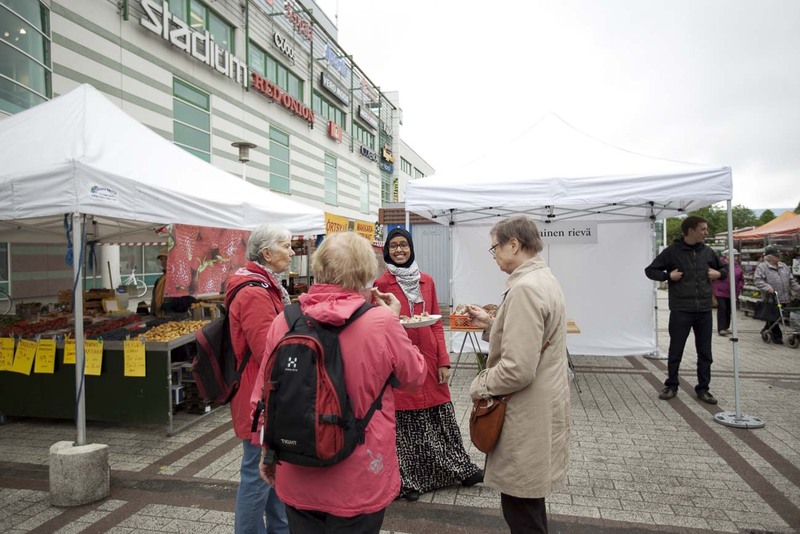 Mänttä has been the hometown for an immigrant reception center from 2013. 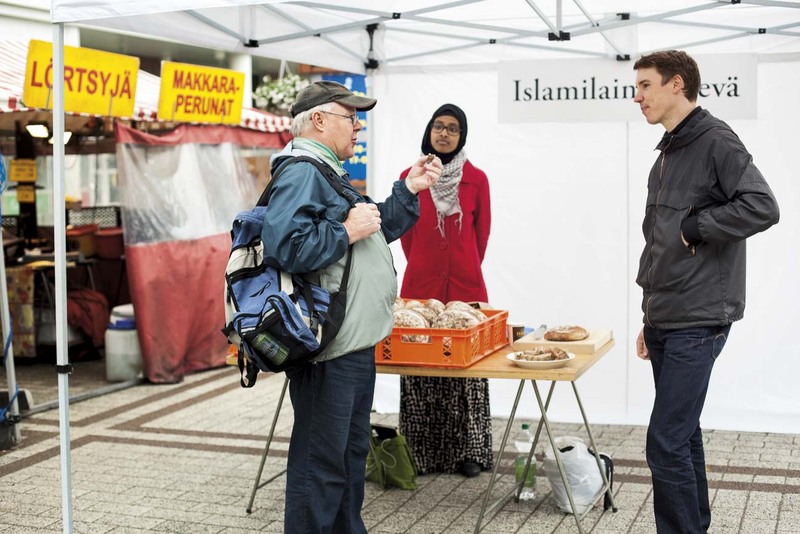 The majority of the residents in the reception center are from Muslim countries, so Islam has recently become quite visible in the streets of this small town. The other towns I visited are also homes for reception centers.